During the mid-twentieth century, scientist John B. Calhoun conducted a series of experiments to determine the effects of overpopulation on mice and rats. In the 1960s he conducted his most famous experiment, known as “mouse universe” or “mouse utopia”, which provided optimal living conditions for the mice: limitless food and water, ample opportunities for socializing and mating, plenty of nesting material, lack of predators, lack of disease, and so forth. His experiment presented the mice with only one challenge: overpopulation. Labels: behavioral sink, Japan, John Calhoun, karoshi, mouse universe, mouse utopia, overpopulation, overwork, salaryman, sociology, You Can't Spell Tokyo Without K.O. 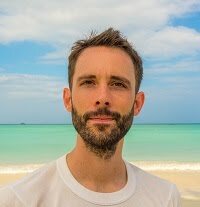 My fellow authors: looking for an editor or cover designer? If you're looking to hire a professional editor, I highly recommend Michelle Demers, who edited my first two books. Aside from editing, she also offers other publishing services such as ebook formatting, print layout, and self-publishing consultation. You can view her testimonials here. For professional cover design, I highly recommend Jenny Q over at historicaleditorial.com. (Testimonials can be found on the same page.) She specializes in historical fiction, but as you can see from the two covers below, she is highly adept at other genres as well. 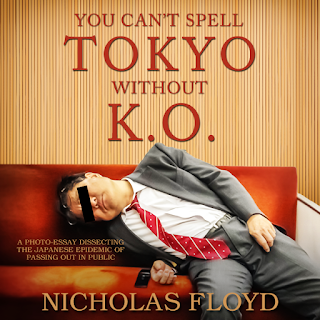 My second book is now available on Amazon, in paperback and for Kindle: You Can't Spell Tokyo Without K.O. 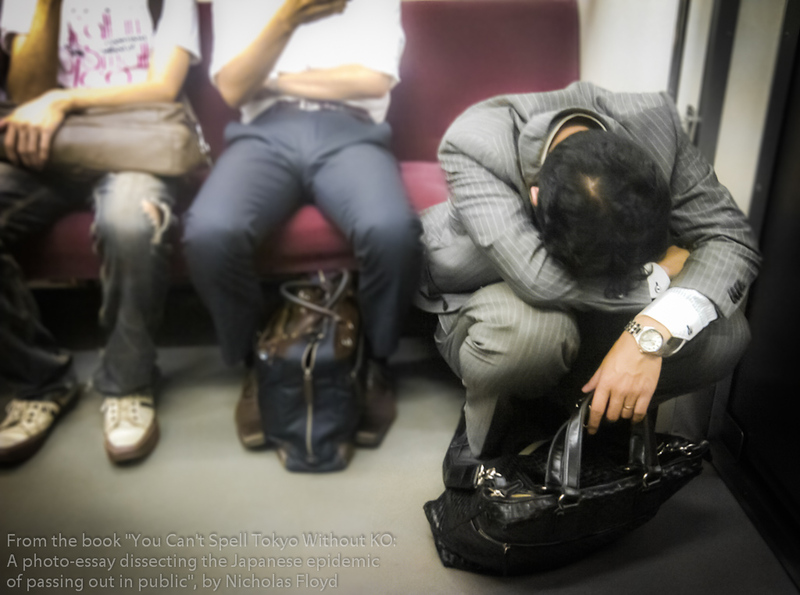 : A photo-essay dissecting the Japanese epidemic of passing out in public. Every day, all across the city of Tokyo, a curious phenomenon unfolds: scores of blue- and white-collar citizens end up passed out — sometimes in spectacular fashion and mind-boggling positions — on the streets, on trains, in restaurants, in bushes, or anywhere else imaginable. Come nightfall, one might stumble upon a well-to-do Japanese salaryman lying crumpled and snoozing facedown on the sidewalk, apparently walloped by a haymaker of fatigue that sent him crashing down for the count. These brutal knockout punches sometimes involve intoxication, but alcohol alone fails to explain this widespread yet unintuitive phenomenon: making a public spectacle of oneself in a society like Japan’s, where conformity and shame heavily regulate behavior. Rife with fascinating insights into Japanese culture, You Can’t Spell Tokyo Without K.O. embarks on an eye-opening journey where social commentary and candid street photography explore the various societal factors — some enviable, some alarming — that contribute to this epidemic of passing out in public.